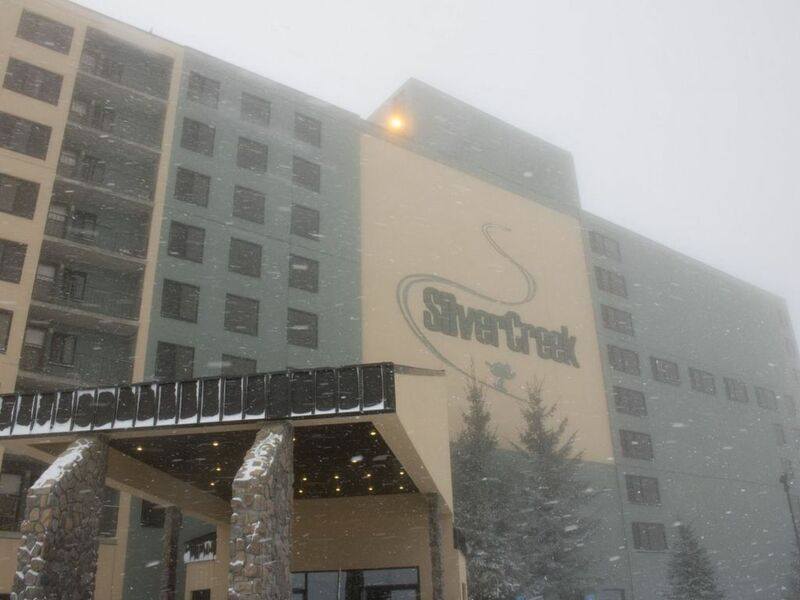 Treat your self and your family to this newly renovated, completely updated Silver Creek condo on the TOP OF SILVER CREEK RESORT! There is no place like `The Penthouse!` Relax in front of one of 3 fireplaces, enjoy awe-inspiring views from 3 balconies, or treat your family, friends, clients, or employees to the most unique and spacious accommodation at Silver Creek, where the SKI-SCHOOL, TUBING HILL, and NIGHT SKIING are mere steps from your door! The hub of this 2400 sq ft condo is one of the BIGGEST and MOST WELL-EQUIPPED KITCHENS in all of Snowshoe! Everything you need to create great memories is here. The dining area has plenty of room for everyone with the 30-foot bar seating seven and a dining table for ten. Entertainment is covered with cards, games, a full-sized piano and several rhythm instruments for sing-alongs, free WiFi, and unlimited long distance. The Living Area is cozy and comfortable, with a convertible QUEEN-SIZE sofa, video library, cable/HDTV/blu-ray/dvd/cd, XBox 360 gaming system over the mantle and one of three wood burning fireplaces. --"Snowshoe"-- ONE FULL-SIZE Bunk(Double over Double) with another Twin over Double) with comfortable, thick mattresses, cable tv/dvd, foosball, magnetic darts, Nerf basketball, and a Wii console with gaming chairs. Perfect for kids of all ages. ---"Colorado"-- 2 QUEENS, rustic decor, cable tv/dvd, and its own private balcony. ----"Tahoe"---- QUEEN bed, modern decor, wood-burning fireplace, HDTV/cable/dvd, convertible Sleeper Chair, and amazing views from the shared balcony. -----"Utah"----- Stunning views from the private balcony, wrought iron KING bed, wood-burning fireplace, HDTV/cable/dvd, private bath, and luxurious sitting area with QUEEN Sleeper. The Indoor/Outdoor POOL/HOT TUB, SAUNA, and FITNESS CENTER are open year-round for your enjoyment. MISTY`S sports bar is open in the summer/fall/winter.